High demand for the gold-colored iPhone 5s has resulted in Apple increasing production of the handset, according to a report from The Wall Street Journal. More specifically, production of the champagne-colored smartphone is set to increase by one third, according to the publication. 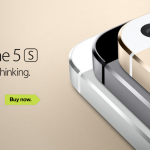 The news comes following huge demand for the gold iPhone 5s, both in the United States and overseas. In China, Apple's online iPhone reservation system indicated that the gold model was easily the most popular out of the Cupertino, Calif. company's three iPhone 5s offerings, and the handset became unavailable to order soon after the system launched. This morning, when online orders for the handset went live across the world, a similar situation was observed. 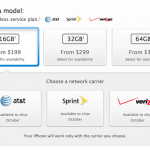 Less than an hour after orders for the iPhone 5s launched in the Apple Online Store, the gold-colored model was said to be shipping in October. Now, however, The Wall Street Journal reports that Apple "has asked its suppliers to increase production of the gold-colored iPhone 5S by an additional one-third after seeing strong demand, people familiar with the situation said." Little else, though, is included in the report. We'll keep you updated with further information as we receive it. In the meantime, see: How To Customize Notification Center In iOS 7, Hours In, Shipping Estimate For Gold iPhone 5s Is Now October, and Beta Footage Of Fright Fight's Grim The Reaper Character Appears Online.